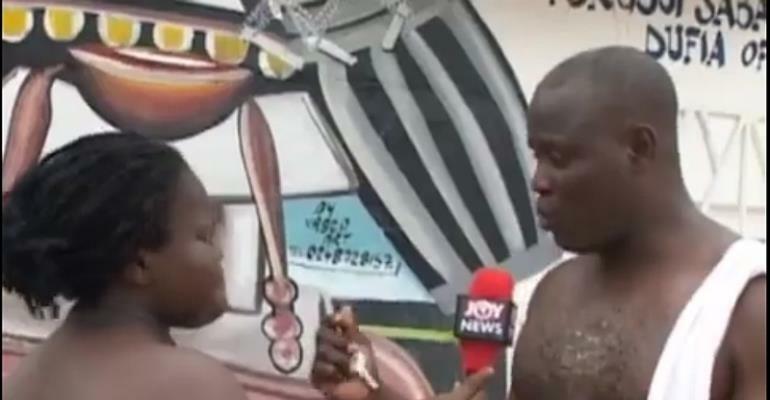 In a viral video reported by Joy News, the regent of the Nogokpo town Torgbui Amuzu is heard saying the Osagyefo Dr. Kwame Nkrumah, the first President of Ghana solicited help from the shrine during his struggle for independence from the colonial masters. “This shrine has helped us a lot. There is a statue in the shrine you didn’t have the chance to see. It was built by Kwame Nkrumah. When he realized he could not achieve the independence success, he came here in 1956 and after that, he came back in 1957 to fulfil his promise and his signature is embedded on that legacy,” Togbui Amuzu revealed. The regent disclosed that, Dr Kwame Nkrumah got to know about Nogokpo after the 9th, May 1956 plebiscite which led the integration of the then, British Togoland into Ghana. Togbui Amuzu maintained that the god punishes the wicked and unjust but not the innocents.